It was a cold, rainy London morning in September when we decided to take a walk through the touristy area. When we got towards Westminster Abbey, I realized how hungry I was — and there wasn’t much food options nearby. So, we walked towards the Parliament buildings, we found Cafe Churchill where we quickly popped inside to dry up and fill up on our bellies. This location was really cute, with little table outside – which I can’t see anyone utilizing in the rain, but probably perfect for the nice days without the rain! Once we walked into the cafe, we saw this pastry display where I got excited! I love pastries! We both sat down and asked for some English Tea and I wanted mine with lemon. 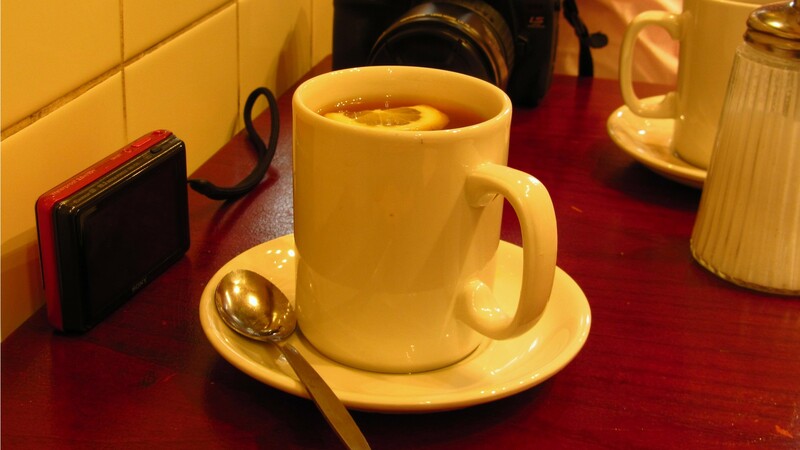 It was so nice to have and anything hot like teas really warmed me up from the inside out! I know it’s just a normal tea, but it was just great timing for this tea. From entering the cafe, one of the first things I saw was croissants and I noticed a Giant Almond Croissant so I knew that was something I would need to order. 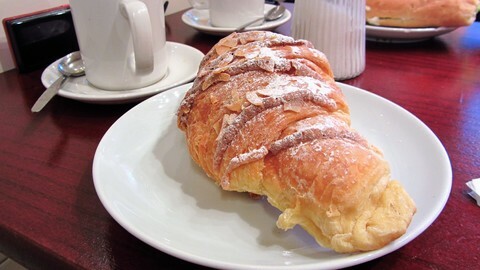 The croissant was nice and fresh, crispy layers, subtle sweetness from the powdered sugar, and the sliced almonds made a for a delicious treat! 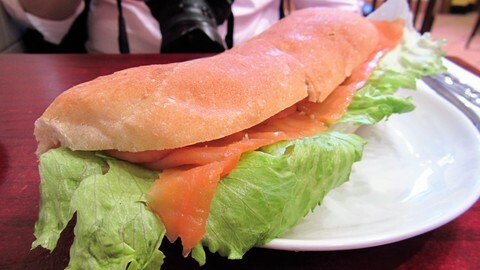 I thought a croissant for the 2 of us wouldn’t be enough, so we also ordered a Ciabatta Salmone which is a great sandwich of smoked salmon, cream cheese and lettuce on a ciabatta bun. This was a little disappointing compared to the giant almond croissant. This only had 2 thin slices of smoked salmon, and there wasn’t much cream cheese or even lettuce either! The bread was really good as I believe it was fresh. None the less, I ate it up and continued on my journey. 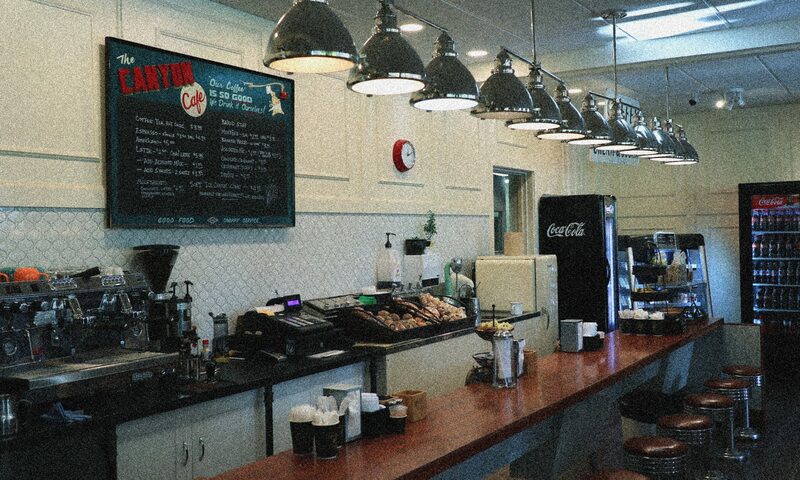 Overall, it was a great experience, and it definitely gave you a small town feel in this cafe! If I’m there, I’d definitely stop by for an almond croissant again though!